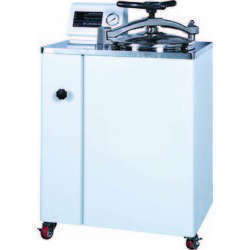 Our range of products include laboratory autoclaves, vortex mixer, hot plate, c.o.d digestion apparatus and autoclave. 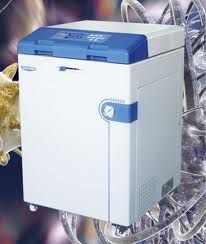 We are engaged in offering a wide range of Laboratory Autoclaves. The autoclave is designed to cover a large range of applications for laboratories, research institutes and biotechnology facilities. Compact structure designing, low center of gravity provide the stable operation when high speed . Use the DC Brushless Motor, long-life, low noiseThe motor drive directly, no belt loss. Inching feature and consecutive operation, easy for switching. Centric balance piece designing, amplitude can be achieved 4.5mm ,nice oscillation effects. Metal hull, reliable and strong . Timing function ,also can be countdown and digital showing . Digital show the setting speed and operation speed , easy and clearly. All the fixture can be inching feature and consecutive operation, suited to the lab requirement. Our enterprise is positioned at the apex in the list of most preeminent Hot Plates exporters and suppliers in India. 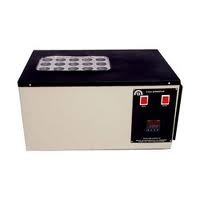 The electric hot plates are of excellent quality and thus exhibit unquestionable performance. 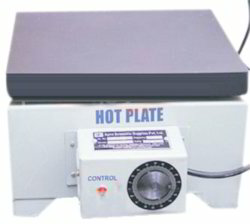 The laboratory hot plates are also provided with an indicator and a regulator to manage the temperature according to the requirement. Top Plate : Either made of thick mild steel heavy gauge plate (or) stainless steel of thick plate. Outer Chamber : With stainless steel (or) mild steel. Available Shape : Round, Square and Rectangular. Temperature Control : By Energy regulator (or) by Mechanical Capacity Thermostat Ranges from 500C to 3000C. Voltage Supply : 230 Volts AC Supply. Optional Spares : 1) with 3 Heat Switch. Thermometer : With 4000C Thermometer. Cylinder Size Dial : 8 Inches 1000 Watts. Dial : 3 Inches 1000 Watts. Dial : 12 Inches 1500 Watts. Rectangular Size 10 Inches x 16 Inches 1500 Watts 12 Inches x 18 Inches 2000 Watts 18 Inches x 24 Inches 4000 Watts. DIGITAL COD DIGESTOR is suitable of COD method for monitoring wastewater influent and effluent, industrial process water, and more. This instrument is used by Pollution Control Labs. Outer cabinet made of mild steel duly coated. Aluminium Block with holes (Dimension 40mm Dia x 80mm Depth) is used to hold 15 nos. COD tubes. (Optionally for 6 tubes) Aluminium Block is heated to maintain temperature up to 180 deg.C.